My mom is just ridiculous when it comes to portion control. She has none. It’s the most severe case of portion distortion I’ve ever seen… which is why I am so bad too. :/ She will seriously consume more than anyone should in a given day at one time. Lucky she has a decent metabolism so she isn’t as heavy as she deserves to be, but her health is still being affected. Product received for review. Post contains affiliate links. My favorite aspect of using any of the Precise Portions dinnerware pieces is the simplicity of design that enables thoughtless eating. I am not one to stick to a diet plan or feeding regimen that only works when strict measurements and tightly scheduled dining times are followed to a tee. 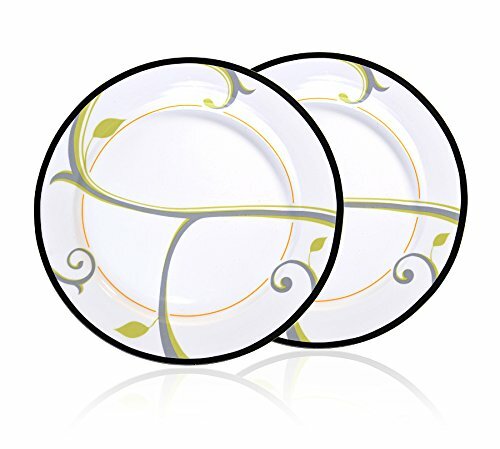 The Precise Portions dinnerware is sized so that any eater watching their weight, or not, has just enough space to place and eat a correct portion of food. 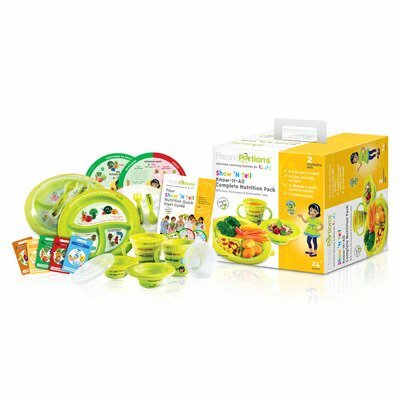 However, if other more enthusiastic dieters and mean planners want to get highly technical with their food intake, they can easily do so by using the information that is conveniently visible on the dinnerware itself. I think it is a very practical food control system for everyone. One other positive feature bit off topic is that the Precise Portion pieces are very lightweight and easy to handle. I have a painful chronic injury on one hand that makes picking up, holding, and especially washing heavy dishware impossible at times. 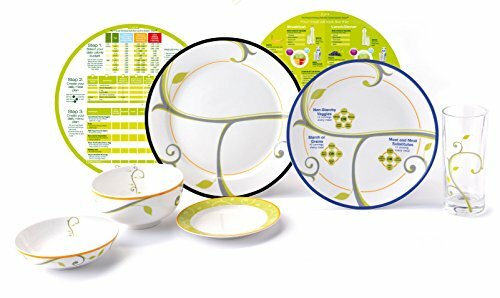 These dishes are perfectly sized for me and probably many other people with similar pain or medical issues. I can’t help but add my opinion too… These pieces are adorable! 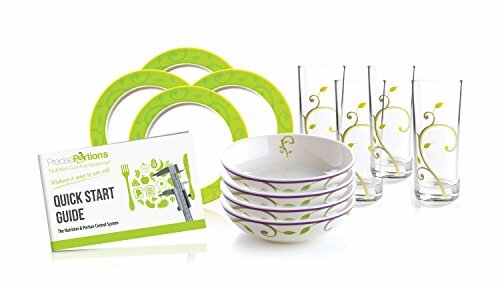 The pretty design will work well with any kitchen decor. 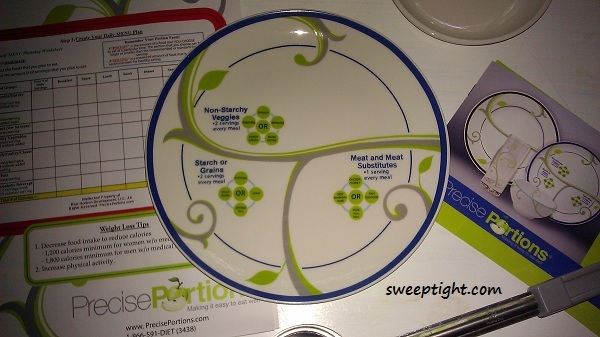 Plus, this set came with place-mats that offer checklists and valuable diet information for those of us more inclined to count and keep track of the foods we eat. 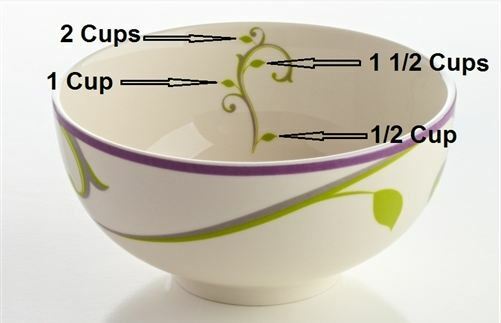 Using these are simple… just use the leaves to calculate your measurements. Check Precise Portions out on Facebook and Twitter too! What a cool idea! It’s like why didn’t I think of that! And I’m sure the more you use it, it re-trains your brain(thats the psychologist in me lol), very interesting. This is a great idea. I never know when it is enough or too much. What a neat idea! 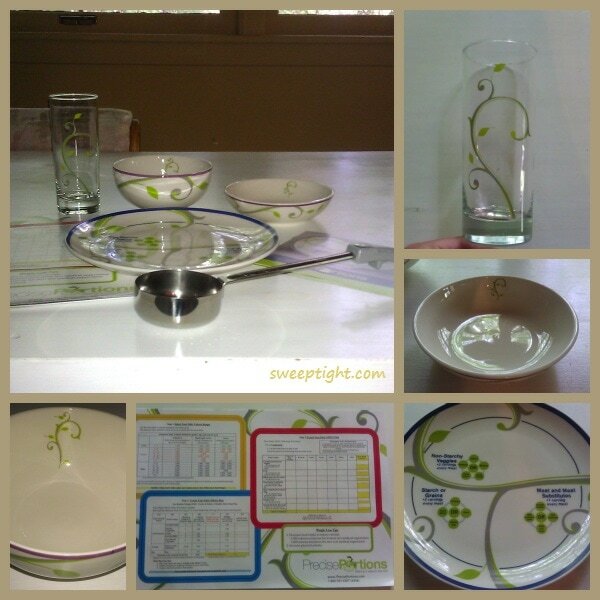 I love the design of the dishes especially the bowl where the little leaves on the bowl mean 1/2 cup, 1 cup ect. I especially have a hard time in the morning calculating how much cereal to put in my bowl, these would be great! The designs are very appealing.